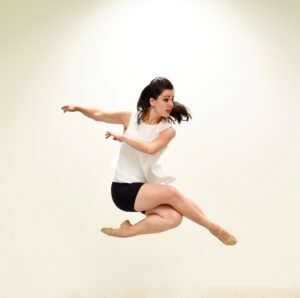 Julia hails from Ossining, New York, where she trained for a number of years with the Westchester Ballet Company. Prior to joining Gin Dance Company, Julia was a soloist and principal dancer with the Ithaca Ballet Company based in Ithaca, New York. She graduated with honors from Cornell University with a B.S. in Human Development, and minors in Dance, Education, and Inequality Studies. While in college, Julia performed and choreographed regularly with the Cornell Dance Departm ent, and was the president of Impact Dance. Through summer programming, Julia has also studied with American Ballet Theatre, the Joffrey Ballet, and the Rock School for Dance Education. When she is not dancing, Julia is the College and Career Coordinator at Friendship Tech Prep Academy, a public charter school in Washington, DC. She has been a member of Gin Dance Company since fall 2015.